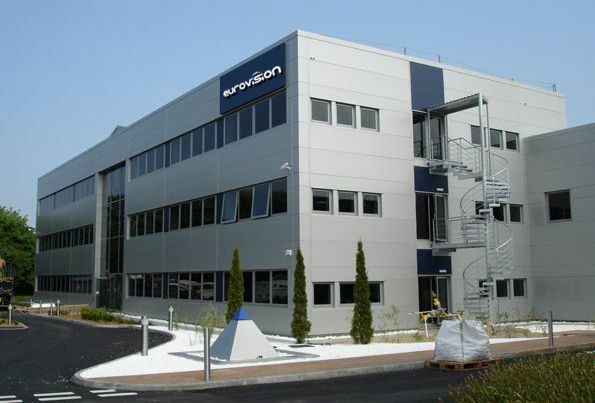 Eurovision security is one of the leading European companies in Europe. It was founded in 2011 by group of individuals who were highly regarded in the field of security world. In 2013, partially acquired by an experienced European management team within the same field, in order to create an alternative and independent line of products based around security. The company offers now a variety of securities and firefighting equipment that cover all these fields. It continues to add to its range of state of the art products on a regular basis. Eurovision manufactures HDTV surveillance IP cameras and software, leveraging its MegaVideo® technology. EuroVision is exclusively focused on megapixel technology and, as the industry leader, has contributed more to the advancement of HD megapixel imaging for professional security applications than any other company in the security industry. For the moment the company offers the world's fastest multi-megapixel network cameras supporting full-motion video frame rates. Eurovision's new line of high definition cameras provides security professionals with the flexibility of various frame rates and resolutions for a variety of applications. The company considers itself to be an ethical supplier and manufacturer in an industry that has some 'grey' practices. It values the customers rights and privacy above all else and seeks to defend these wherever possible. Eurovision has its main offices and development labs in Netherland..
Eurovision is devoted to providing systems for everyone, from individual user to governments’ projects to fulfill their needs whatever their purpose may be. In short, we enable provide people with whatever security need is, both personal and professional. We position ourselves as the manufacturer/supplier of security systems who meets every customer needs. Our clients range from individuals, associations and small companies, to public institutions and large multinational corporations. All have put confidence in us, and that is something we are deeply proud of. In dealing with us, you will not find empty promises, sneaky advertisements or unwelcome surprises hidden up our sleeves. We simply strive to provide a decent state of the art products and honest service. Our wish is to provide you with the best products and services at the most reasonable prices. Furthermore, by keeping in direct contact with you, this allows us to listen to your feedback and take into consideration you recommendations in developing our next product & service. The interests of our customers always come first since they will be the source of our success. We invite you to contact us and to take a look at the Eurovision Support page, to give you an idea of the kinds of external projects we support. It is here that we try to maintain the "soul" of our company through the support of various initiatives that we care about. The owner and publisher of this website is Eurovision Security, a company incorporated under Netherland's law. Eurovision is a registered Trade and Companies mark.